Sequel est un séquenceur à boucles signé Steinberg. Issues with some audio devices when demo projects are loaded are resolved. Graphical redraw issues with smart tools on Mac are resolved. Issues with Japanese button text are resolved. "Audio Export" can now be aborted. Issues with the bit resolution of exported WAV files are resolved. The new Beat Page in Sequel 3 is the centerpiece for all your beats, rhythms and grooves. Harnessing the power of the Groove Agent ONE drum station and the Beat Designer step sequencer, the Beat Page gives you direct access to groovy drum sounds and easy programming of rhythmical patterns — all in one spot. Following the philosophy of legendary drum machines, the Beat Page combines simplicity and convenience to become the starting point of your creative productions. 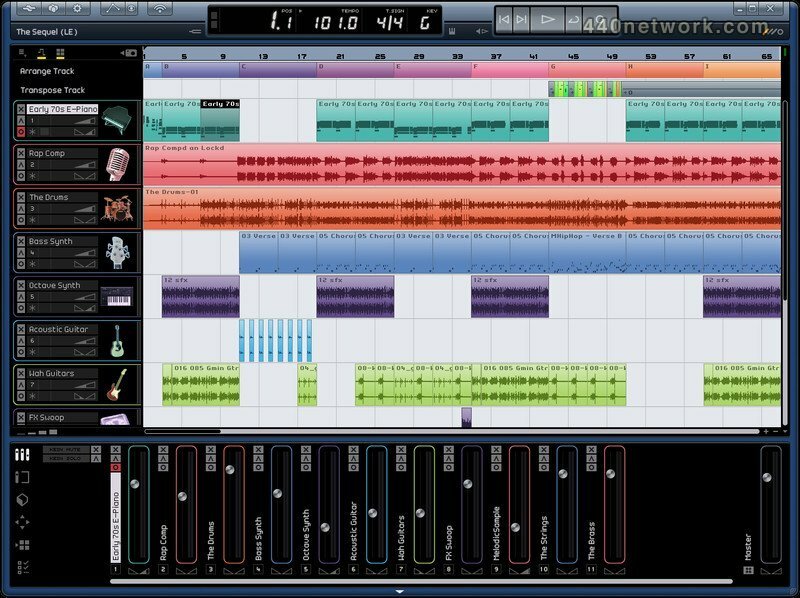 The Sequel 3 performance mode combines the advantages of linear and pattern-based workflows and lets you create and arrange your tracks in real time. Just define parts in your project which are then automatically assigned to the performance pads. Assign the pads to your MIDI controller or keyboard and trigger the patterns on the fly without missing a single beat. Break free and let the track evolve live on stage. And it just gets better: you can also record your performance, re-edit or export it back into your project. Sequel 3 is equipped with a fine selection of high-quality instruments and effects for your production. 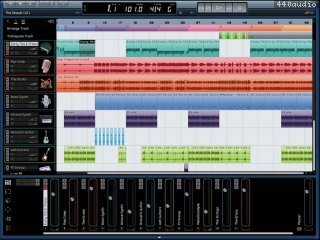 The HALion Sonic SE sound workstation provides you with more than 500 sounds and instruments for all kinds of musical styles — from analog instruments to synthetic pads, leads and basses. Groove Agent ONE adds authentic drum sounds to your tracks and brings the groove into your productions. For guitarists, Sequel 3 includes the VST Amp Rack SE that turns your computer into a legendary amplifier. Even third-party VST 3 plug-ins can now be integrated into Sequel 3. Have you ever wanted to create a mix of your favorite track? Sequel 3 is the perfect tool. Just drag a song from your MP3 library into your project and let Sequel 3 detect the tempo of the track. Now you can easily create loops, change the arrangement and use the included effects to add your personal touch to the tracks. The Step Envelopes editor in Sequel 3 allows you to easily modulate your audio tracks with reverse, stutter or pitch effects that will make your remix creatively remarkable.